Flyleaf is nominated twice for Best Rock Song on The Christian Rock 20 website. Let’s see if we can get them to the top! I’d say we have a better shot if we focus on just Chasm, but you can vote for either. You can submit a vote every 12 hours, so get crackin’! Why do they always put Fireflight and Flyleaf against each other?! It makes it so hard to decide who to choose! woot come on troops time to get cracking chop chop chop. do not make me bring Chef Ramsey out lol. Voted for 'again'. Flyleaf is still second. Yeah guys, 'again' is first right now! keep voting for that song, so that they win!!! I didn't even SEE Again on the list, only Chasm was there for me. I voted for it anyways, and it is OWNING! Shyell, the same happened to me. 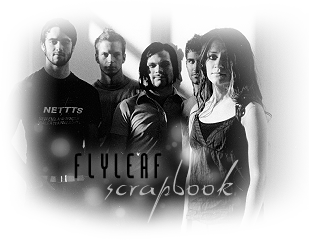 Chasm was the only Flyleaf song in there. They took Again off the list. I think it makes it a bit easier and fair for everyone on it. btw I found this article and Sameer says that the Missing video will be released in Spring and they're gonna shoot an official video for Chasm! AHHHHHHHHHH!!! !FLYEAF IS WINNING KEEP VOTING POEPLE!!!!!!!!! OK people….Chasm is the only one listed now…so vote for it (it's my fav one anyhow!!) yippeee!!! Awesome! I voted for Chasm, and so far it has almost 80% of the votes, and there's over 500, where the next in line has like ten or something. :D I'm so happy for them! I wonder if it will show up? Anyone interested in trying it? We'd need to pick a date & time period I am guessing? For the last couple of days it hasn't worked at all for me….won't allow you to click on any band to vote? ?